There are 7 reviews of Noa Fleur. Soft and feminine and floral it may be, but as blood-orange has already said, it's soft and floral and feminine hairspray! I absolutely love this! But then I just love florals! Like Allison_R. said, it's lovely and soft and smooth but with good longevity. The other ingredients combine with the rose and peony to give it a very pleasing prettiness. I can't detect any coffee, though. It also shares a certain similary with Marc Jacob's Lola, which is another excellent perfume, incidentally also containing peony and rose. 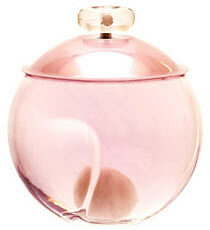 Like it and Marc Jacob's Daisy, Noa Fleur is probably something I could smell every day and never tire of. Am I the only one that thought this fragrance smelt like hairspray? After reading all these wonderful reviews, I was convinced that it had to have been a bad tester bottle, however once I tried it in another store I got the same result. I couldn't seem to get past the strong and intoxicating scent of hairspray. I found it hard to believe that some people compared this fragrance to the original Noa. In my opinion, there is no comparison. The coffee note is absent in this fragrance, and there are only clean and slightly synthetic florals present. I can smell hints of rose, however it isn't a strong and desirable rose, nor something overly feminine and sweet. Instead the rose note is very subtle and lacks any sign of life. I have a feeling that Noa Fleur may be a little too heavy with the alcohol. That would explain my negative reaction to this fragrance. I love Noa Fleur. This is one of the nicest rose scents to me. I usually don't like rose as the main scent. This is wonderful on hot summer days, when the fresh floral stands out, then ends with soft musks. It smells clean, soft, yet fresh. I have two back up bottles! Noa Fleur could easily be classified as unisex. Its not as "soft and feminine" as other florals for women. I like the top notes here. A great combination of black currants and coriander. The coriander brings about a certain spicy rawness to the opening. The nutmeg in the middle notes continues this woody spicy feel to the fragrance, and the bulgarian rose provides a delicate floral backdrop to the composition. The benzoin in the base melds well with the floral spicy combination of the earlier phases. As can be observed from the notes structure, Noa Fleur isnt a typical "heavy on the flower' florals. Its a spicy woody fragrances contructed around the bulgarian rose note with hints of hibiscus and peony. The benzoin, nutmeg and coriander certainly push it into the unisex category. Guys should give it a try as well ! I get lots of compliments on this one. Its pretty and soft. I loved the packaging, still have the pretty box that it came in. NOA FLEUR By Cacharel 3.4 oz/100 ml EDT Spray For Women Testr New "Discontinued"
There are no member images of Noa Fleur yet. Why not be the first?